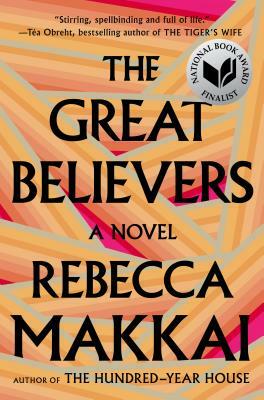 Makkai's lovely third novel, The Great Believers, is about two close friends, their stories told 30 years apart. In 1985, Yale Tishman is an art gallery development director and a proudly monogamous resident of Boystown, a largely gay neighborhood of Chicago. On the verge of acquiring a set of rare sketches, Yale discovers that his partner is HIV-positive, sending his life into a tailspin. In 2015, Fiona flies to Paris in search of her estranged adult daughter, Claire, who disappeared into a cult years before. Can Fiona ever repair their broken trust? Makkai has woven a rich tapestry of interconnected lives. These characters are so very real, you'll find yourself bereft at the conclusion of this beautiful and bittersweet novel.